Hey!! Amber is from Georgia, married her high school sweet heart and they have a 2 year old and a new born that keeps them busy. She has been creating art for as long as she can remember "I have combined what I love my work and play." Dawn brings her passion for inspiring others into her work. 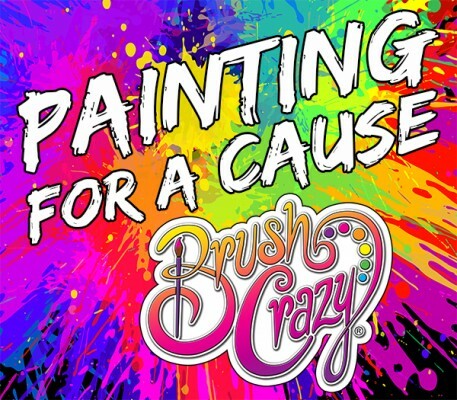 As the creative mind behind the business, Dawn puts together most the paintings you get to work on at Brush Crazy. From the Colorado Institute of Art and Colorado Christian University, Dawn brings her passion for inspiring others into her work. Her favorite painting - Ocean Sunset Palm Trees. Her drink of choice - water most of the time, and the occasional pink moscato. When she’s not in the studio dreaming up the latest Brush Crazy painting, you can catch her singing with the local worship team, working on a new song, or creating a new meal. Artist from Chicago, IL. Focused mainly on Contemporary Pop Art & Photo Realism. Mediums include acrylic paint, colored pencil, and ink illustration. Leaf has been a practicing artist for 20 years now, and her favorite project she’s worked on thus far has been her Blue Heron series. She likes to drink hot tea when she’s working on a painting, and her favorite piece at Brush Crazy is Dock Jumpers. In addition to being a wildly talented artist, Leaf says she can also make quite a convincing horse galloping sound - we only employ the best here at Brush Crazy.